Select a name for your corporation and check to make sure that it is not already in use in your preferred state of incorporation. The website of the state secretary of state may have a search engine that allows you to check business name availability. It may also allow you to reserve a name for a limited period, such as 90 days. State governments require you to use one of a limited number of suffixes, such as "Inc." or "Corp.," to indicate the corporation's limited liability status. Appoint a registered agent with a street address in your preferred state of incorporation. The function of the registered agent is to receive official correspondence on behalf of the corporation. The registered agent does not have to be a shareholder, director or officer of the corporation. Draft corporate bylaws that obligate the corporation to comply with S corporation restrictions. Bylaws function as a corporate constitution and regulate matters such as the appointment of directors and officers, voting rights, meetings and the transfer of shares. An S corporation may not have more than 100 shareholders, may issue only one class of shares, may not include partnerships, corporations or non-resident alien shareholders, and may not engage in certain industries such as insurance. Prepare articles of incorporation that comply with the requirements of your state. Most states allow you to download a fill-in-the-blank, articles of incorporation form from the website of the secretary of state. On the articles of incorporation, you typically must include the corporation's name, the name and address of its registered agent, the corporation's principal business address, the purpose of the corporation, and the number of shares the corporation is authorized to issue to shareholders. The person who prepares the articles of incorporation, known as the incorporator, must sign the document. Some states also require the registered agent to sign. File the articles of incorporation with the secretary of state and pay the state filing fee. Most states require you to mail or hand-deliver the articles of incorporation. Convene an organizational meeting in which the initial shareholders transact important corporate business such as naming directors, authorizing the issuance of shares and authorizing the corporation to apply for S corporation status. The resolution authorizing the application for S corporation status must be unanimous. Apply for an Employer Identification Number, or EIN, for the corporation on the IRS website. Download and complete Form 2553 from the IRS website. Form 2553 is a three-page document that requires you to list the name of the corporation, its EIN, its date and state of incorporation, its principal business address, the name and telephone number of a corporate representative, and the names, addresses, number of shares and other identifying information for every shareholder. Every shareholder must sign Form 2553. File Form 2553 with the IRS by the 15th day of the 3rd month of the corporation's tax year, which is March 15 if the corporation uses the calendar year as its tax year. If you miss the deadline, the corporation's S corporation status may be delayed until the following tax year. Internal Revenue Service: Apply for an Employer Identification Number (EIN) online. S corporations have a special tax election with the Internal Revenue Service under Subchapter S of the Internal Revenue Code. This allows S corporations to not pay federal income taxes; instead, they elect to pass their income and losses through to their shareholders who then apply them on their personal income tax returns. 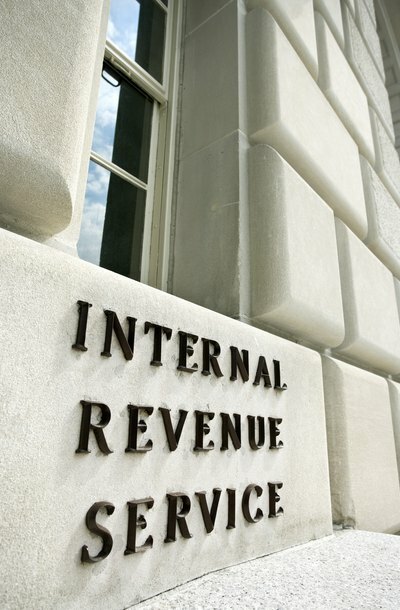 The Internal Revenue Service places eligibility restrictions on corporations that want to make this Subchapter S election, particularly restricting the type of shareholders an S corporation can have. As a result, many S corporations include specific provisions in their shareholders agreement to remove shareholders if they become ineligible and permit the S corporation to buy out a shareholder voluntarily or involuntarily. S corporations elect to pass corporate income, losses, deductions and credit through to their shareholders for federal tax purposes. An S corporation is taxed under Subchapter S of the Internal Revenue Code, meaning that the corporation pays almost no federal income taxes. If a corporation qualifies for S corporation status, it may obtain S corporation tax status by filing Form 2553 with the IRS. In some cases, however, it may be advantageous to revoke S corporation status -- for example, if the company wishes to add shareholders so that the number of shareholders exceeds 100, it would no longer qualify for S corporation status.